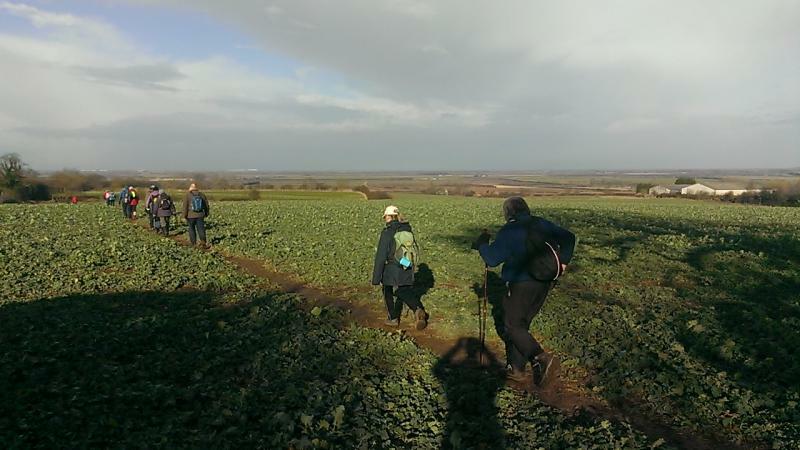 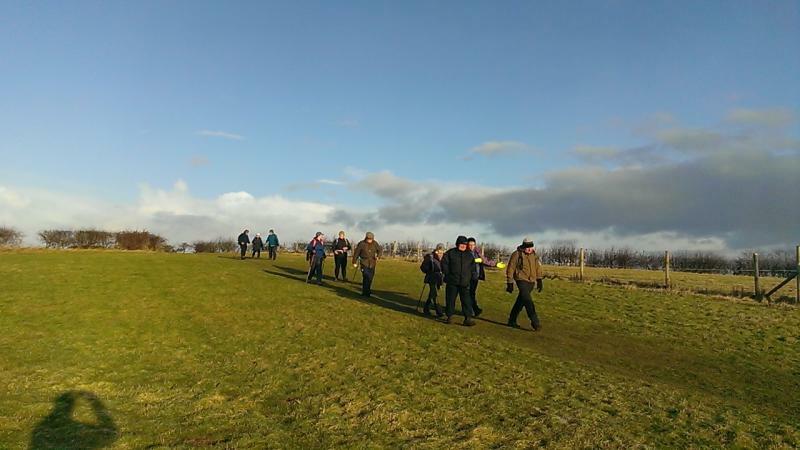 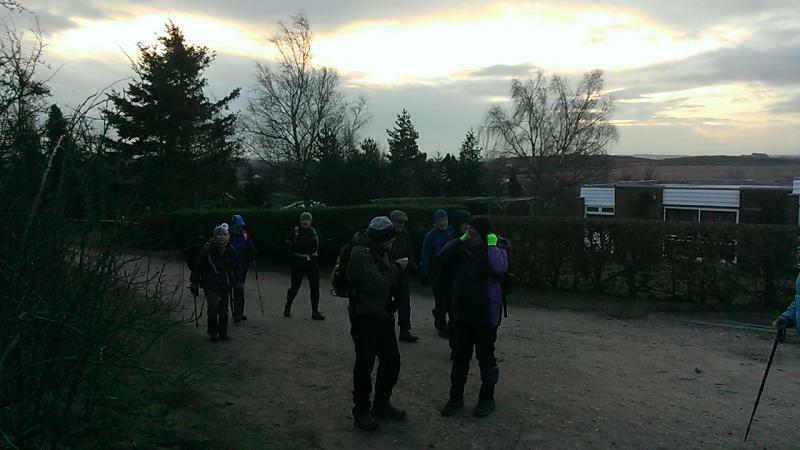 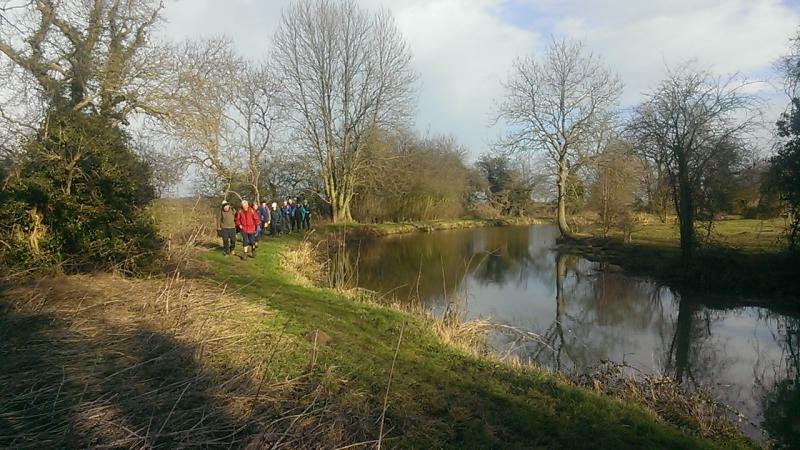 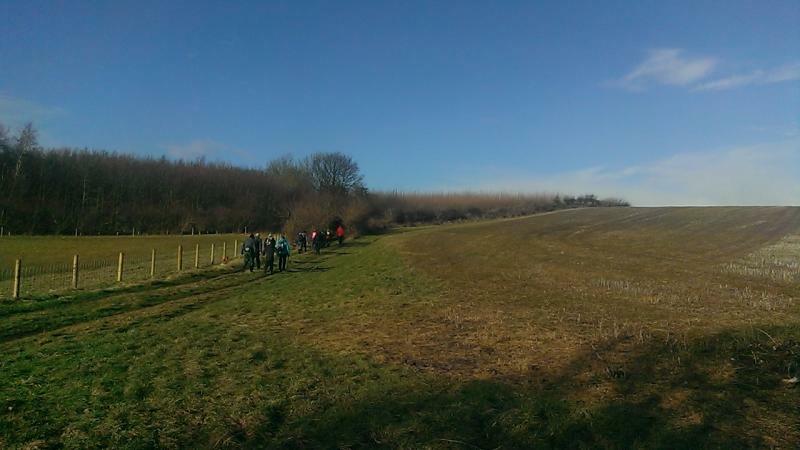 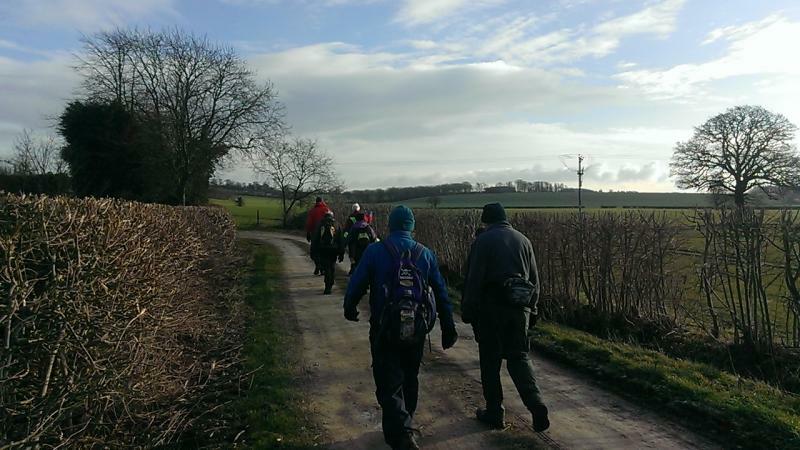 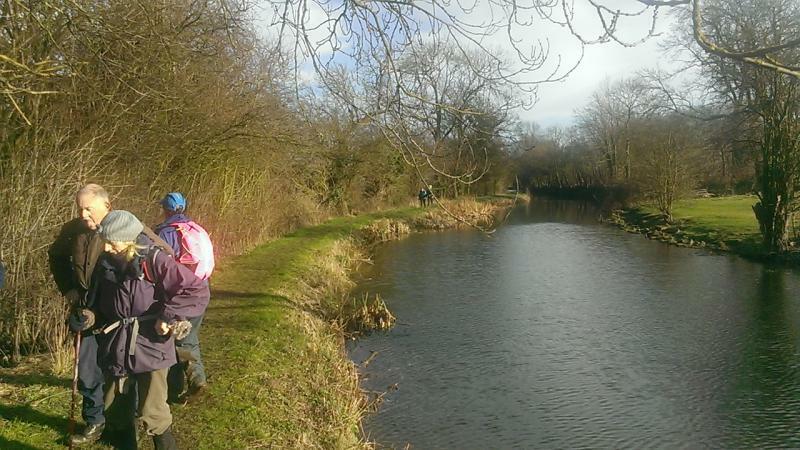 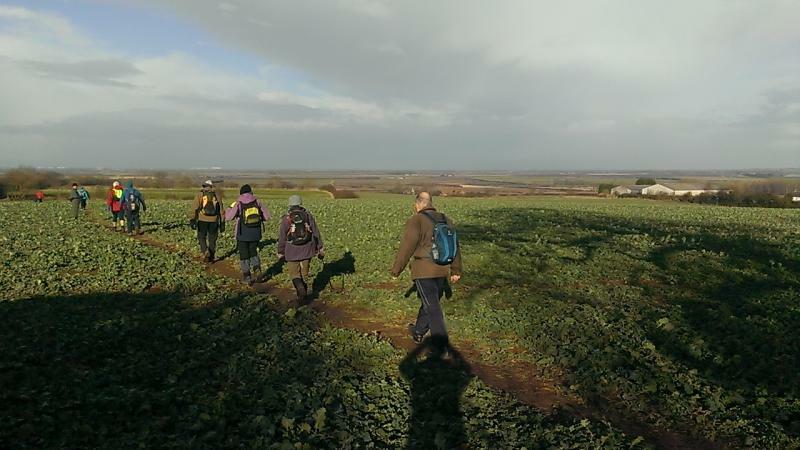 18 Vermuyden LDWA members began our pre AGM walk on a rather chilly day in NE Nottingham, a figure of 8 route that began with a 3 mile walk over the Barrow Hills area. 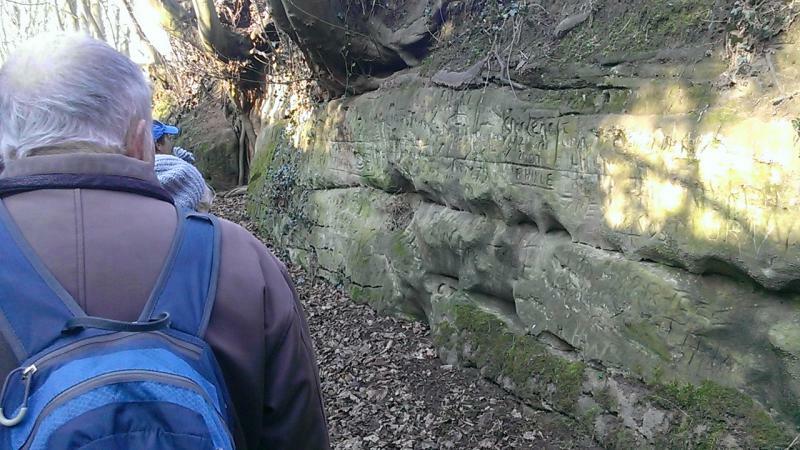 A surprising sandstone lump that dominates the surrounding flat area of Everton. 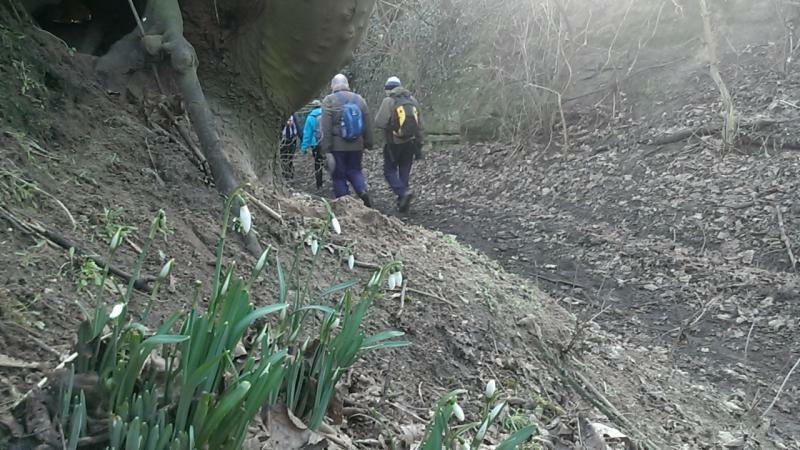 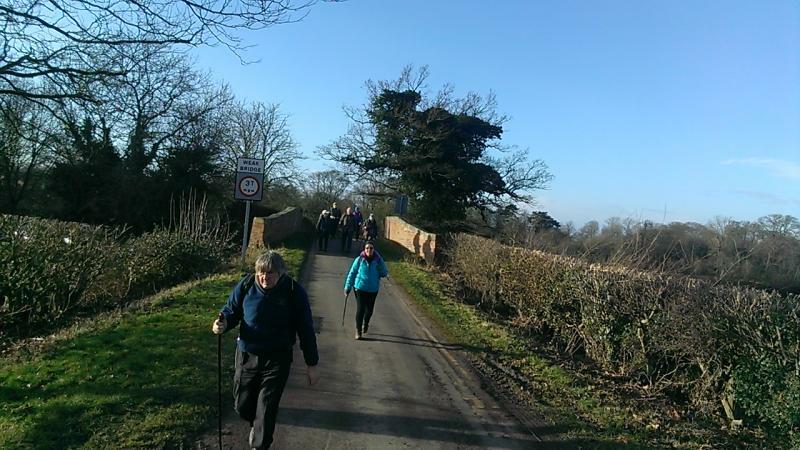 We said goodbye to Ron here and carried on our way in glorious sunshine, the first frost of the year for the group and a surprising bunch of snowdrops in a cutting from maybe an old railway embankment. 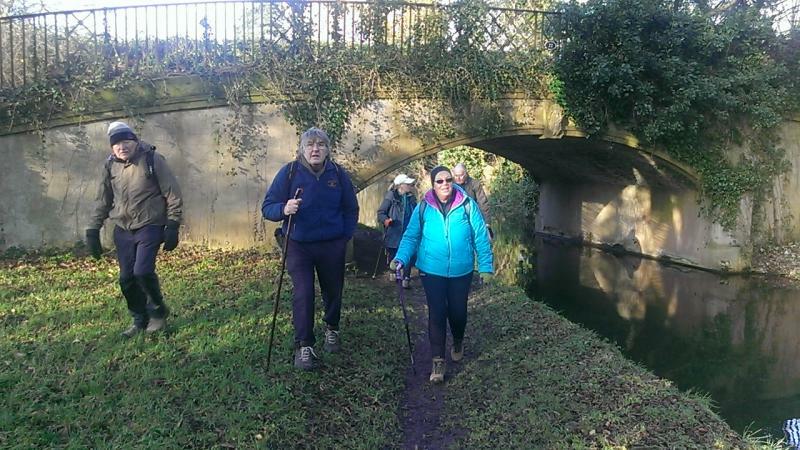 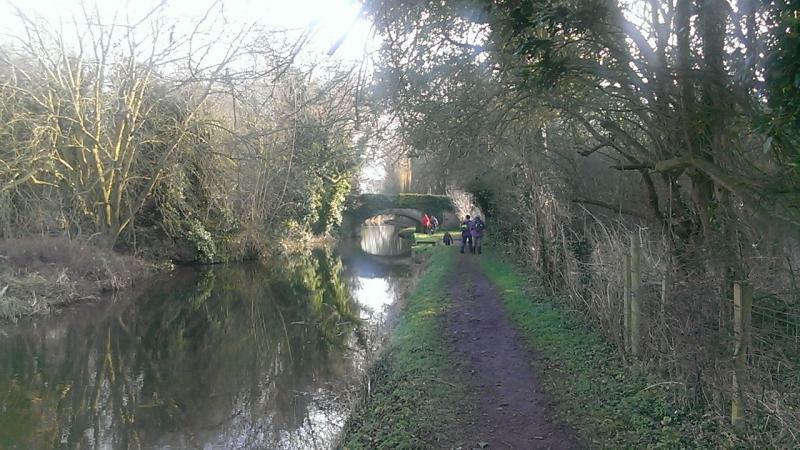 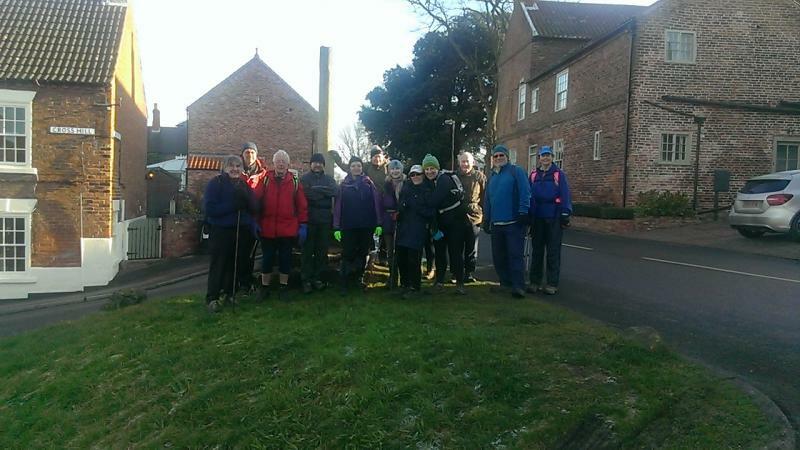 We followed the Chesterfield canal to Gringley on the Hill where elevenses were taken and we took a group photo. 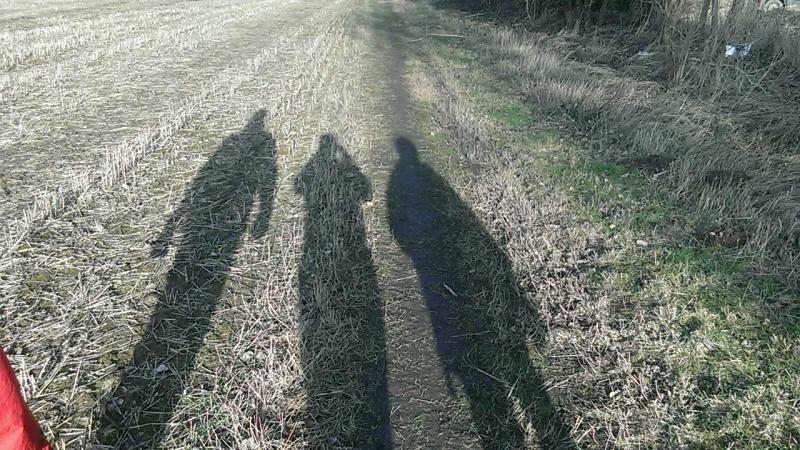 We had a few friends walking with us today that we had not seen in quite a while. 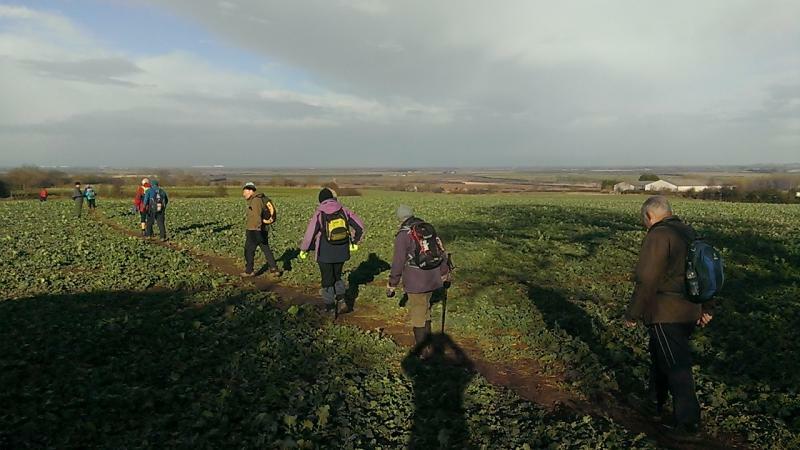 Leaving Gringley the paths had deteriorated somewhat now the heat of the day had materialised but the views over the levels NE of Doncaster were smashing. 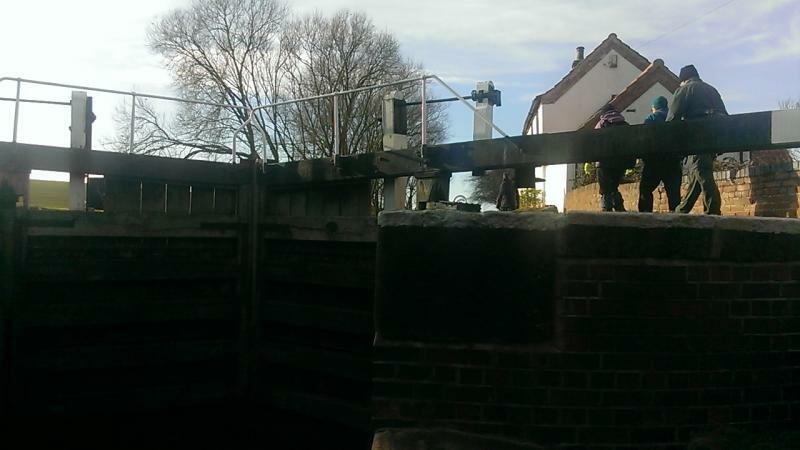 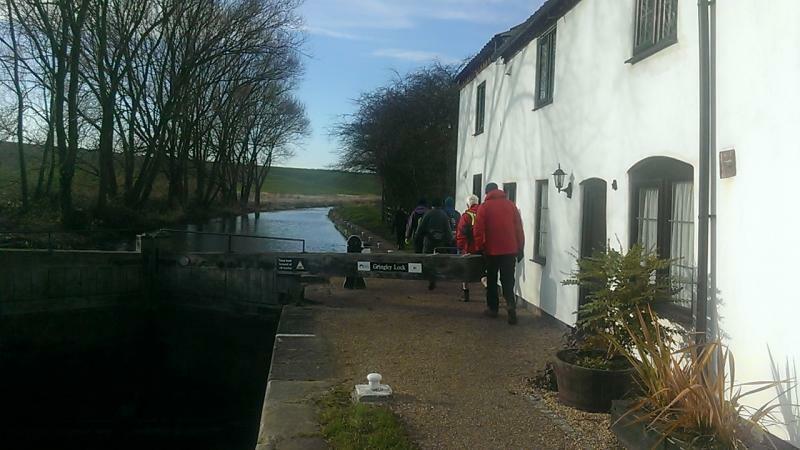 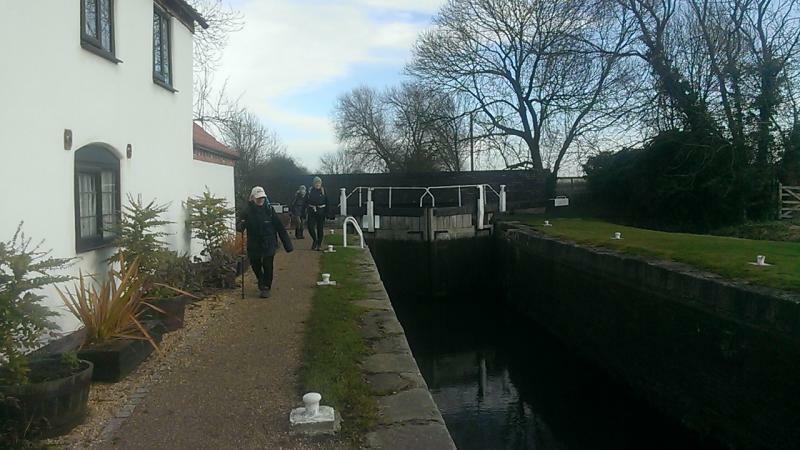 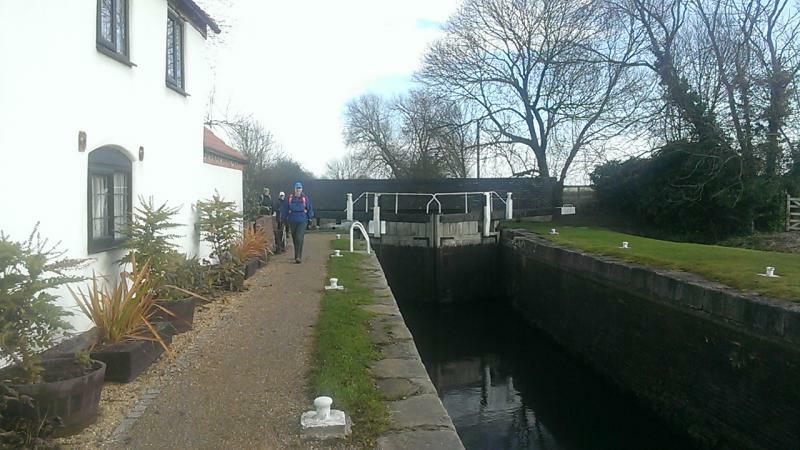 We joined another part of the canal and arrived back at The Blacksmiths Arms in time for the AGM. 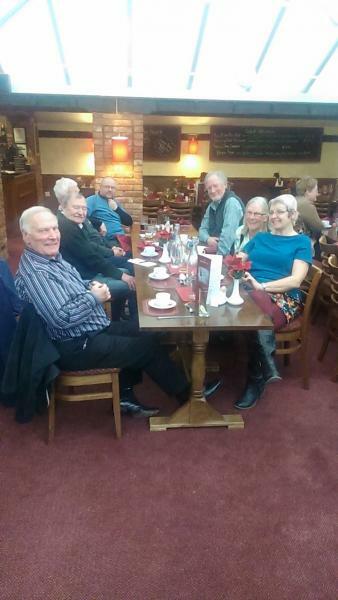 The Chairman (Bill) opened proceedings with reports given from the Treasurer (Frank in Dave’s absence) and Secretary (Sally). 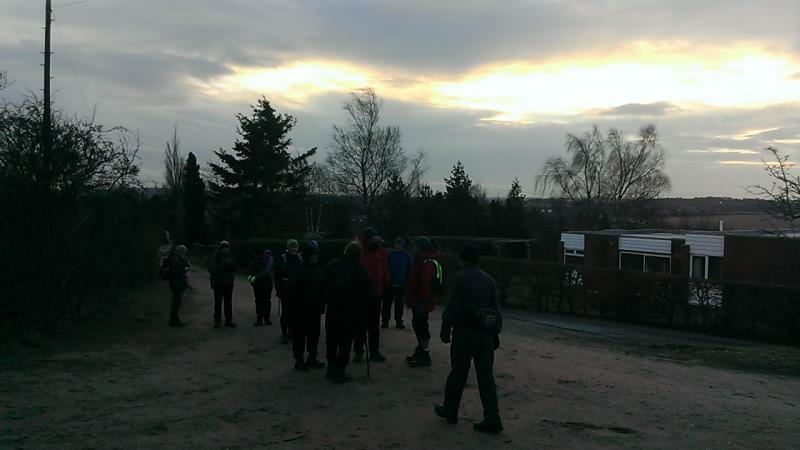 AOB brought about the discussions of the frequency of the monthly meetings and the change of meet place. 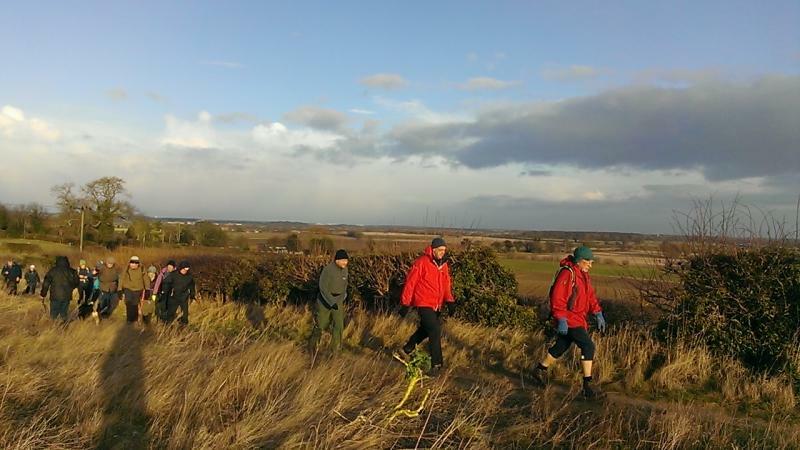 The news Frank had stood down after 10 years of Walk Secretary and Aaron Hookway had taken the position of Walk Coordinator was accepted. 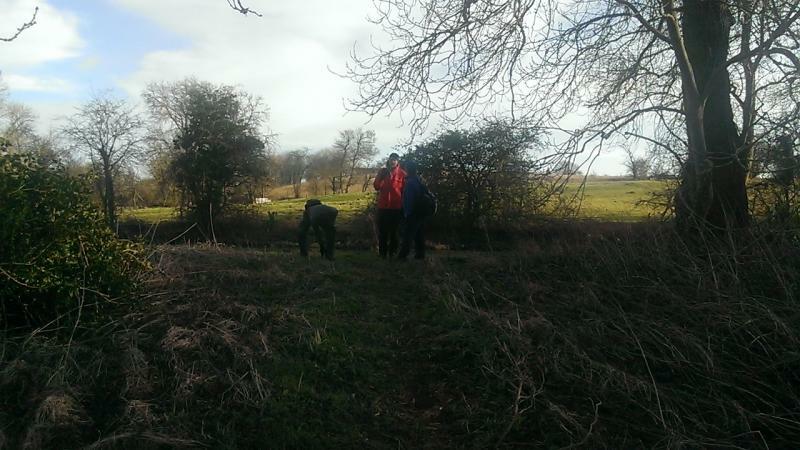 It was decided we are to revive the challenge walk ‘Elsecar Skelter’ in the summer. 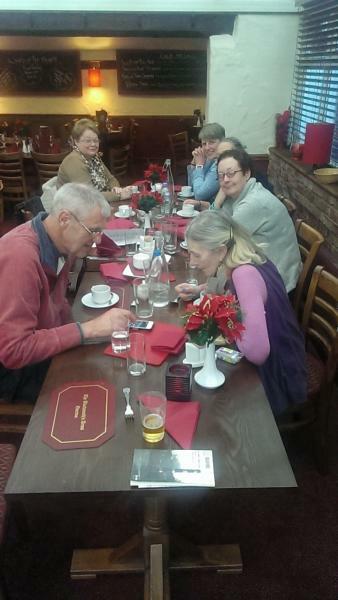 The meeting was closed and a nice meal ensued.